This survey displays the share of opinion on the importance of support from federal government to support research and innovation that will personalize patient care - developing right treatment for the right patient at the right time in U.S., as of January 2018. 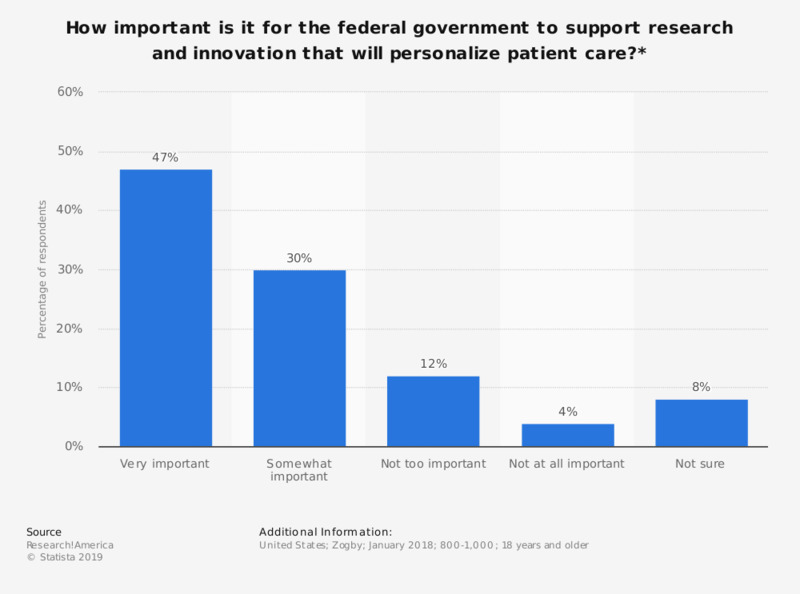 Only four percent of respondents stated that it is not at all important for government to support research and innovation that could personalize patient care. * "Developing the right treatment for the right patient at the right time?" Do you agree with the following statements about your most recent patient experience?